Congratulations to Leah and Maggie for a safe return home. 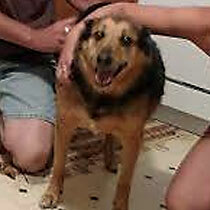 A big thank you to Dogs Finding Dogs search team, Wendy and K9 Trusty, for finding Maggie today! Maggie went missing from Taneytown a few days ago when she ran out the back door. She wound up on a farm where she was reunited with her family.